I have never been happier. Life is SO good. Every day just keeps getting better. Why? 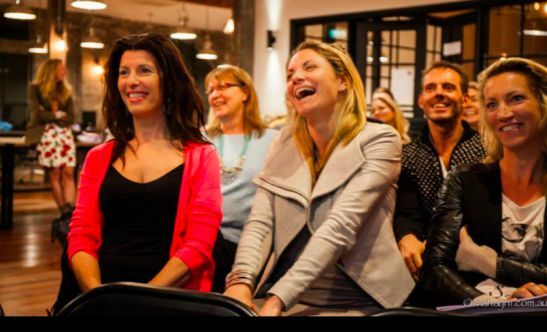 Because of the OMG BLOW YOUR MIND results people are getting as they join, experience and graduate from our Good Life Programs at Soul Sessions. 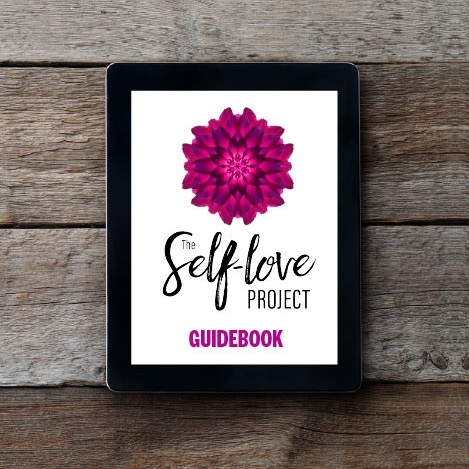 As the Soul Sessions collective continues to explode, it has become one of my most treasured daily rituals to receive words about the profoundly powerful shifts people are experiencing in their relationships, health, business and finances. Knowing people are living better lives as a result of our work at Soul Sessions makes me incredibly happy and life completely loveable. THANK YOU for trusting us with your most precious resource – YOU. Check out whta people are saying about our suite of good life programs below. “The Soul Goal course has completely transformed how I wake up everyday and view the world. Neuroscience, evidence based techniques and proven strategies as taught in the Soul Goal course has given me the ability to start to rewire my own brain and change my thoughts and habits. Justine’s passion, knowledge, varied experience and encouraging approach is infectious and she presents the information in a clear, logical flow that makes learning easy. I looked forward to each day of the course and I’m blessed to be in such a nourishing Soul Goal community where I can continue to build on the skills taught. “I can’t speak highly enough of the New Paradigm of Business Mastermind Group at Soul Sessions. The course combines the power of the mind/body with strategic and essential business skills, allowing you to function at your peak levels. I have a bachelors degree and diploma that took four years to finish yet I have learnt more in the last few months than I did during those two degrees combined. “I first discovered Matt Omo’s sound healing work in early 2013. I arrived at his healing centre on the recommendation of some friends who had been doing his work for a while and had only wonderful things to report. Now, having been Soul Vibing with Matt many moons over, I am so glad I found him. What I realised during that first session, was actually to my surprise, just how strong my conditioning (from my parents, my upbringing, my schooling, past work cultures) to be silenced was and how blocked my inner voice had become. Week after week, as we were invited to close eyes and connect with, bath in, and play with the ecclectic mix of sound and rhythms delivered, I relaxed into the experience until my inner voice was freed, bit by bit. Eventually, I was able to release a whole bag full of old shames and express myself without blocks and inhibition. “I highly recommend Soul Goal Mentoring Program. It was life changing. I’m not being dramatic… it literally was and still is. The timing was perfect for me to start Soul Goal. I was broken hearted, grieving and had veered off “my path”. My heart and soul longed for love, support, understanding and guidance. The universe delivered with Soul Goal mentor Justine giving me all this and more with fresh new ideas, techniques and meditations that healed me, opening up ‘pathways’, choices and my imagination. My Soul Goal peers became my friends who comforted me through my tears, hopes and dreams, believed in me and celebrated my victories. My personal Soul Goal was imagined three years ago. One year ago, I tweaked it but still 12 months on I had done nothing about it! It’s now alive and almost ready for it’s ‘birth’! Watch this space. “Joining the New Paradigm of Business Mastermind Group at Soul Sessions has been the best thing I have ever done for myself and my business! The information and strategies shared have helped me develop solid foundations for my business that didn’t exist before and the modules taught have been life-changing (truly life-changing). I have met so many great people (mentors and colleagues) who have enhanced my journey and continue to do so. The support provided through this mastermind group is amazing and I would recommend it to anyone wanting to give their existing business a giant jump forward. I feel lucky and thankful that I am able to be a part of this amazing program. The New Paradigm of Business Mastermind Group is for anyone wanting to make a change in their lives and business, and make a profoundly positive impact on the world at the same time. “So grateful to be part of the community Eloise has created at Soul Sessions. I have always made lists and goals about things I want to achieve. Every year it’s loose weight, earn more money, find true love blah blah the same thing goes on the annual list and I kick myself for never getting to that ideal weight, income, relationship. Being part of the Soul Goal program has been a true game changer for me. I’ve experienced my own very specific wins in areas that have always eluded me… till now! Our Soul Goal mentor Justine Ruszczyk has a wealth of knowledge, and being part of the Soul Sessions community to be able to follow everyone’s aspirations and watch their wishes and desires come true is literally like experiencing magic in action… but it doesn’t stop there.